Color copier costs vary greatly depending on the manufacturer, features you need, and the condition of the copier. You can save thousands of dollars by purchasing a used color copy machine compared to a new one. Many companies choose to lease color copiers because the machines are very expensive. You should expect to pay around $3,000 to $15,000 for a brand new color copier. Leasing is a more affordable solution, and will typically cost you a few hundred dollars per month. Optional Features - Faxing, Scanning, Email and more. 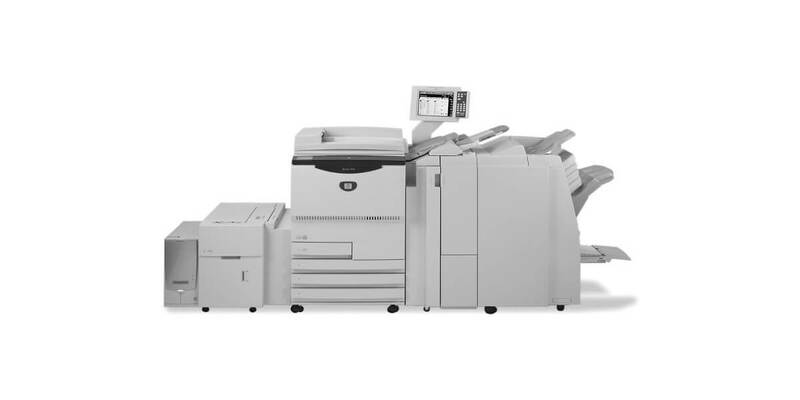 New vs. Used Color Copiers - Businesses can save a ton of money by purchasing a used color copier instead of a brand new one. You can often find color copiers that are just one or two years old being offered at a 20% discount compared to brand new machines. If you do purchase a used copier it's a good idea to purchase a service plan or a warranty. Manufacturer - If you are purchasing a top brand then the upfront costs will be higher, but it can actually be less expensive in the long run as better brands will require less maintenance and hold their value better. Compare Dealers - Compare prices from a few local companies in your area. If one company is offering a better deal on the same color copier, often times a company will beat their competitors rate. Ask For Deals / Specials - Most dealers have certain machines on sale or special deals. Consider a Used Color Copier - Whether you are interested in leasing or purchasing, used color copiers are offered at steep discounts. You will typically save around 20-40% by getting a used machine, which can end up saving you thousands of dollars. There's a large range when it comes to color copier costs, but ShoutWire makes it easier than ever before to get a personalized quote from a top rated dealer in your area. Simply fill out the quick quote request form and you can compare prices on color copiers from the top local dealers in just a few minutes. You won't find a better selection or better prices on color copiers anywhere else! Compare prices on color copiers and save up to 40% with ShoutWire!